Summer’s right around the corner and this Sweet Spot Instant Ice Cream Maker can help you create some tasty flavors. 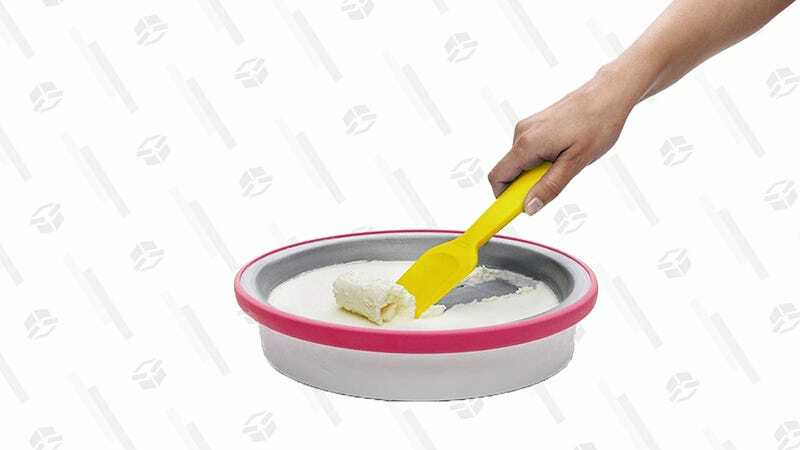 This tool is basically a stone you throw in the freezer that you use to solidify your homemade ice cream mixtures. You do all the “churning” with the provided tools, which means you can make exactly how much ice cream you need, and control everything you’d want in your treat. Right now it’s super cheap at $31. Pretty sweet huh?